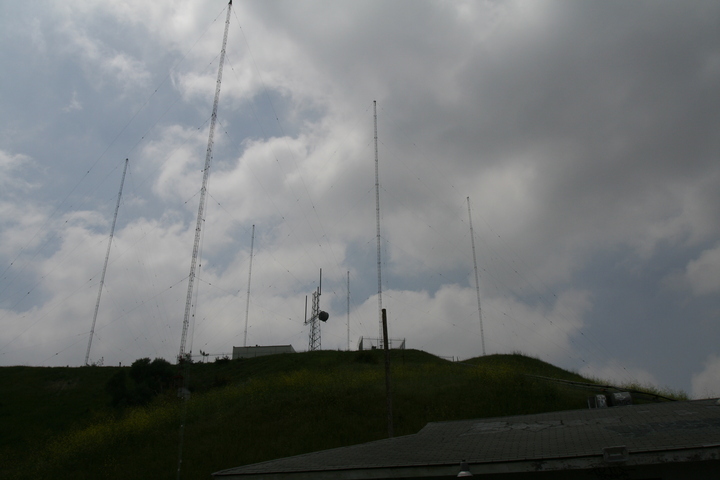 In 2004, Sporting News Radio's KMPC (1540 Los Angeles) applied to increase night power to 40 kW by building six new towers to replace the three which had been there since the mid-1950s. The FCC granted a permit for only 37 kW-N after coordination with Mexico. The new facility was completed in 2005, and is operating under Program Test Authority pending the final license grant. Meanwhile, SNR applied in March, 2006, to move one of the six towers by about eight feet, which will allow an increase to 46 kW-N; this application is still pending. Copyright 2006, Garrett Wollman. All rights reserved. Photograph taken 2006-04-21.